Food always need not to be complicated to taste good, sometimes basic ingredients can create a satiating bowl of hearty meal. I myself have made few recipes from her blog including Yeast-Free Naan and I love her Instagram feed, it is gorgeous. She recently packed her bags and moved back to her hometown, Uttaranchal with her husband. I so much envy her and wish I could do the same. With passing of time and getting older and wiser (I would like to believe I am ;) ) the urge to go to a small idyllic location and spend my life just enjoying and relaxing, which in this rat race we don’t do often enough, is growing in leaps and bounds. Respect for her. When Hina, invited me to do a guest blog post, I was really overwhelmed. This blog post is my first guest post, so its special in many ways. After sentimental overload, let’s move on to the recipe. 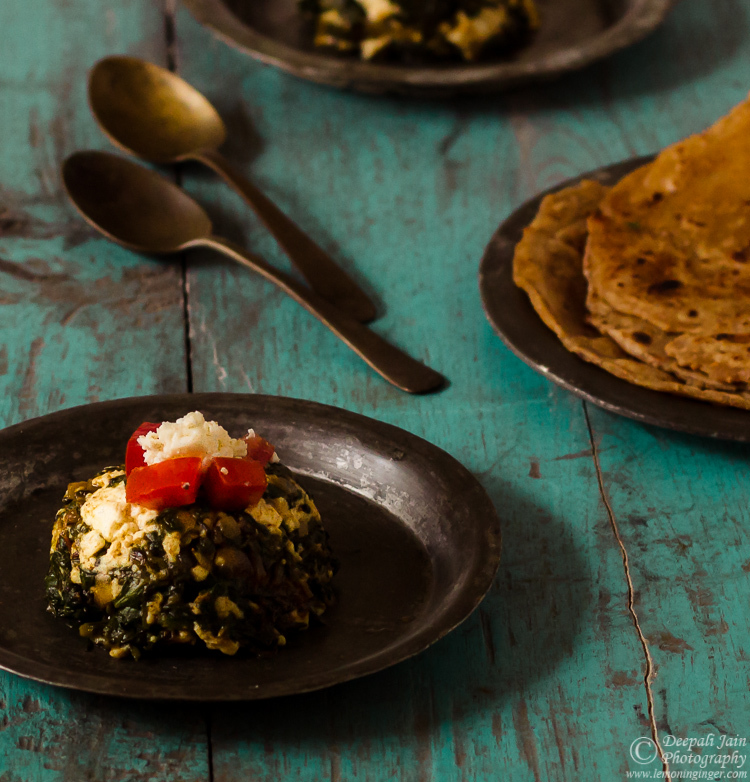 Palak Paneer Bhurji is one of those rare recipes where the whole credit goes to me for creating. :P It is not a family recipe but now holds a special place in my family meal as both the Vs love it. I am sometimes totally surprised by the choices Vedanta, being a 6 year old, makes for his food – his favourites include karela (bitter gourd), fried masala arbi and this palak paneer bhurji. As the name suggests this recipe is a lacto-vegetarian take on anda-bhurji with an iron rich twist of adding spinach. 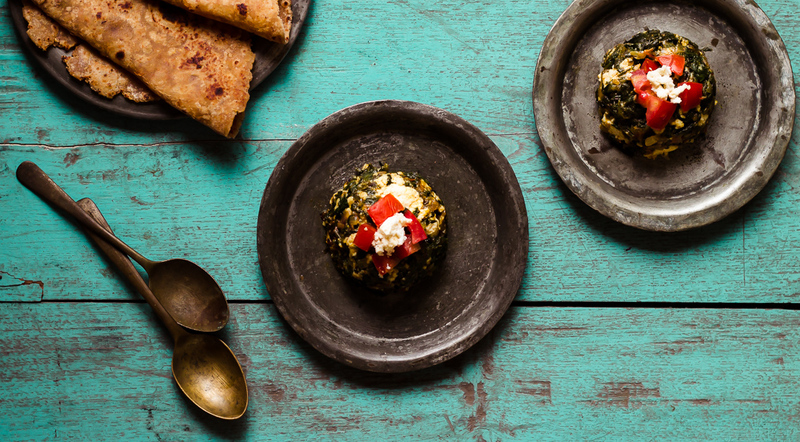 One uses simple ingredients – tomato, onion, green chilli, spinach and paneer to create this amazing dish. It is usually served as a side but is equally relished at my place with toast and hot tea in breakfast. Hop over to Hina’s blog to read the full recipe.